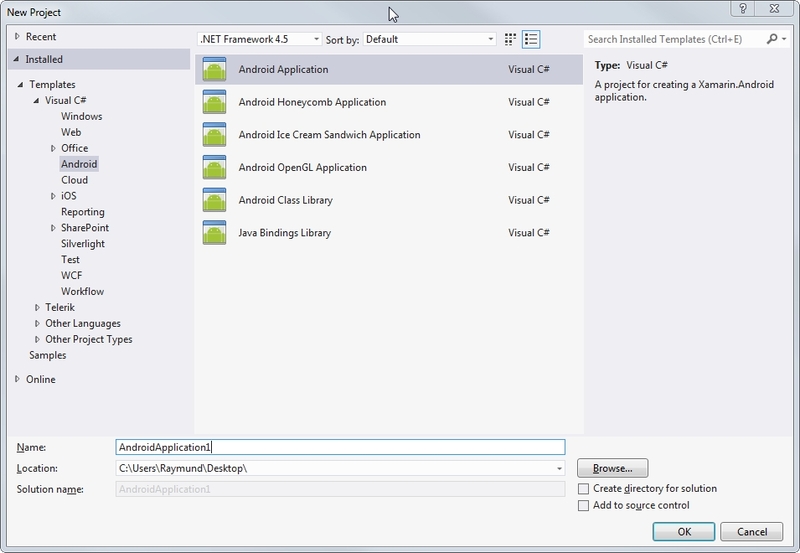 If you love C# and want to create an Android application using that language then you have to thank Xamarin as they created this great Cross Platform development tool which enables developers to develop iOS and Android apps in C# language. 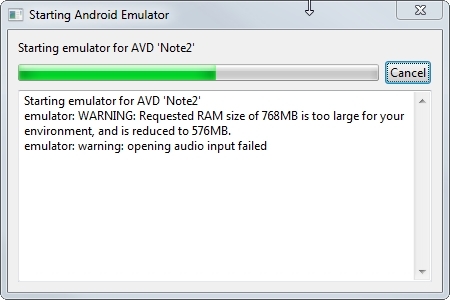 I tried developing before in Android but I did not like the experience in using the available IDE, as its slow and resource hungry, so I gave up. A couple of years after that I attended TechEd NZ 2013 and was introduced to this wonderful platform called Xamarin. Xamarin is offered in different licenses from free to enterprise levels but for not I will be using the starter version which is the free version. 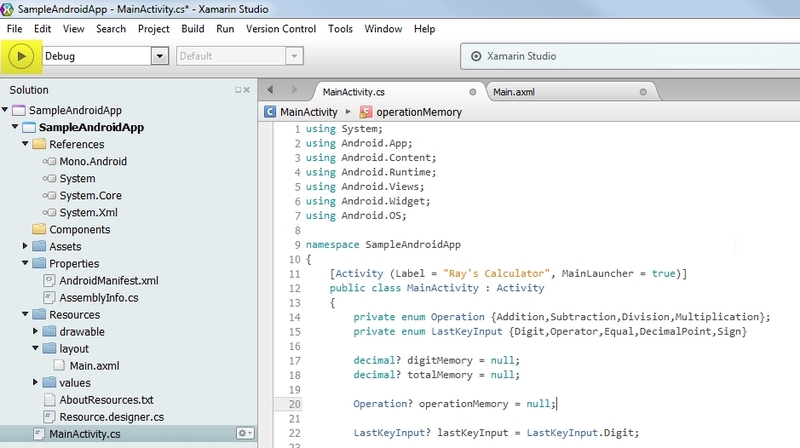 It includes the Xamarin Studio which is great start for those who want to try out creating their first apps for Android, they also offer a Business license which lets you develop in Visual Studio so you can use that rich experience similar to developing Web Apps or Windows Apps, then they have this Enterprise which contains everything. For now lets see what the free stuff can offer, I did a simple project which I will be discussing below and it looks very promising, I love it. 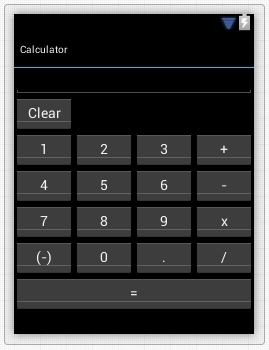 forms does not act like a normal desk calculator where you can continuously perform operations and deliver results through the screen, you can’t even change operations along the way, so I decided I will make this one and I accepted my own challenge. Lets start! 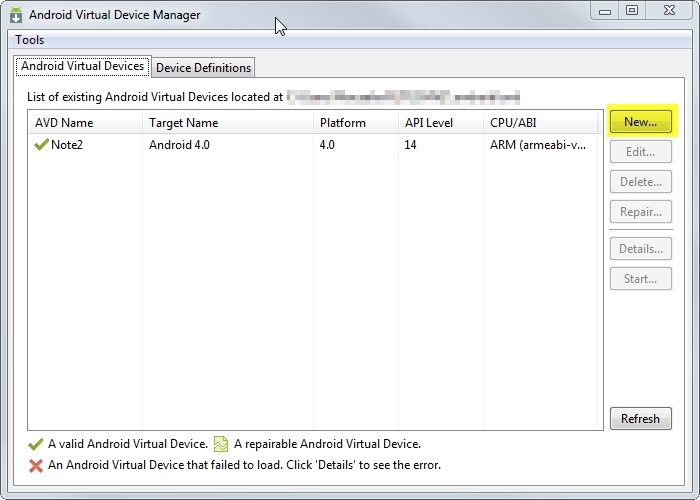 First you need to download Xamarin at https://store.xamarin.com/, while installing it will ask you to download as well prerequisites but is you are a developer most or all of them are already set up in your machine. Once its downloaded you’re ready to roll! 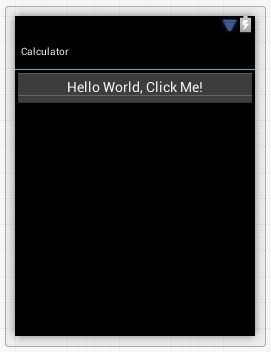 Fire up Xamarin Studio and select new Solution then Android Application, give it a solution name and in this case we use “Calculator”. Once all ok you will see the IDE which is like a cross between Visual Studio and Eclipse, it has intellisense and fancy text colours and highlighting. You will notice if you go to the Resourceslayout they the UI is in a file called Main.axml which is a “Hello World” template. At this point we are more interested on the 2 files on the solution, that layout and the MainActivity.cs where we will be doing our coding. 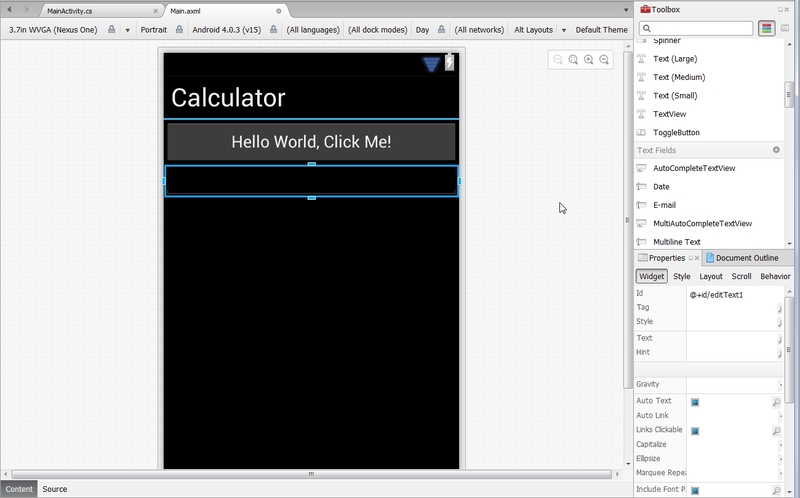 First lets design you calculator, you need to go to that Main.axml and start coding, you will notice its like Windows form where you can drag and drop items from the Toolbox on the right, it will also have its property window on the bottom left. Were not interested with the dragging and dropping part so let’s go the code behind (you can control it more), so hit that Source tab below the UI beside the content source. First thing you will notice is that it is in XML format, if you’re so used to drag and drop or HTML coding then you need a bit of learning here specially the layouts. 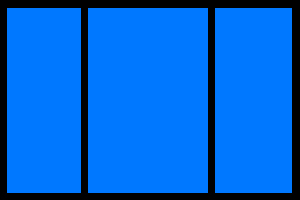 Linear Layout – you can organize objects in either horizontal or vertical rows. Relative Layout – specify the location of child objects relative to each other. 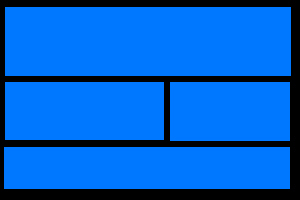 For example object A is placed on the left of object B or it can be aligned to a parent. List View – Displays it in a scrolling single column list. Grid View – Displays it in a scrolling grid view of columns and rows. Now lets start designing, for this project we will using a mix of Linear and Relative. Copy and Paste the code below then I will give you some explanation of what it does. orientation – this sets our object orientation either vertical or horizontal. layout_width – fill_parent will fill depending on the parent with, you can also specify a with by using something like 200dp. If you want to use percentage use 0dp but we will be indicating percentage on layout_weight. layout_height – similar to layout_width. 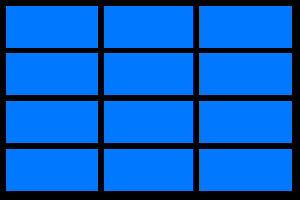 layout_weight – this indicated the percentage you will use on the width. id – identifier to the object. 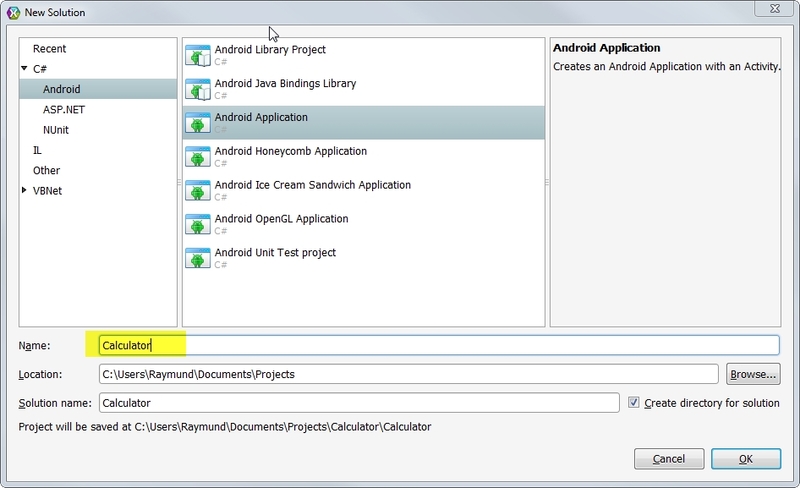 layout_toRightOf – this indicates you will place this object to the right of what object Id. layout_alignTop – this aligns your object similar to what object Id. layout_below – this will place your object below the object Id. 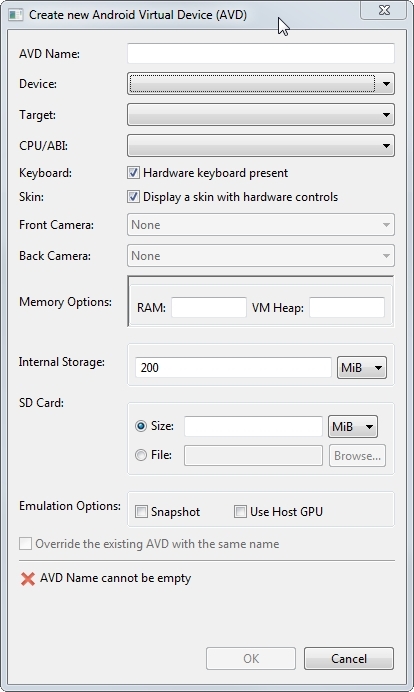 To display the layout you need to do this. Other than that you’re good to go, everything should be easy. 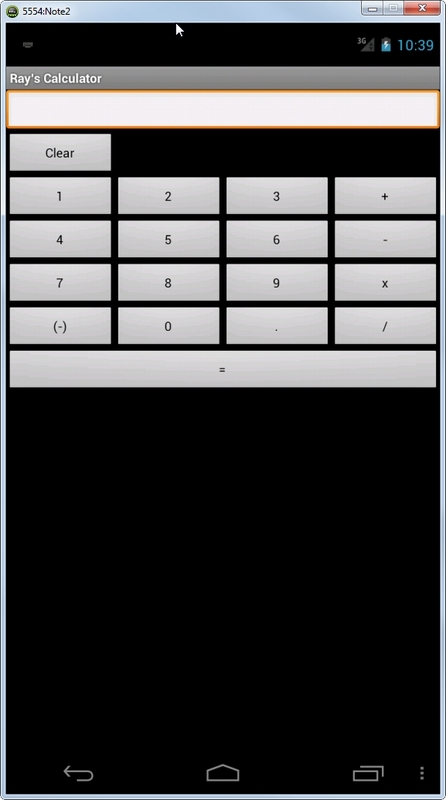 So for the full code just copy and paste the one below, it’s an operational calculator. Just a side note : You might notice Calculate happens on each digit press, this makes sure you have a running total even before you hit the operator. The operator buttons will just store the current operator needed for your next digit press. 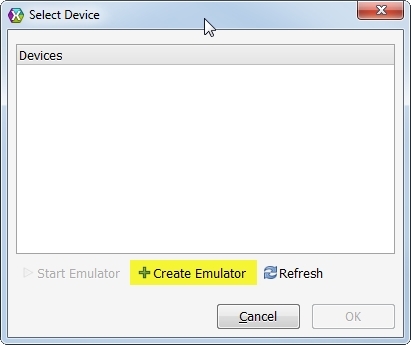 It will now ask you for a device, if you don’t have an emulator yet then you can create one, choose create emulator then hit OK.
Then I suggest create something similar to a device you have, so you can play around with it on your device. You will now see it will start, and it will also show you any errors it encounter. 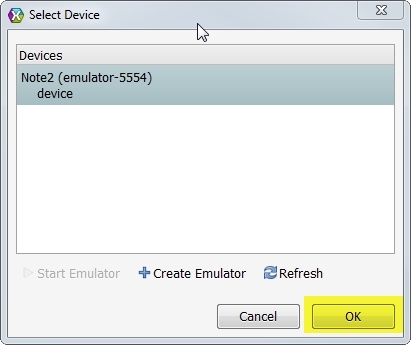 Once started go back to Xamarin and choose the device you want your app to run on, in this case your newly created emulator, it will then be automatically deployed on the emulator. 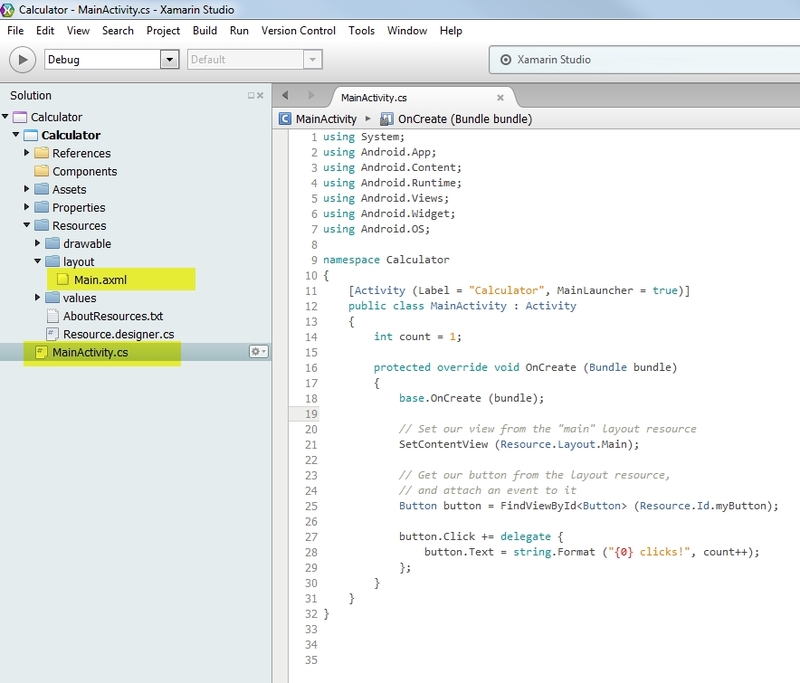 You will then see the progress on the middle top part of the IDE. 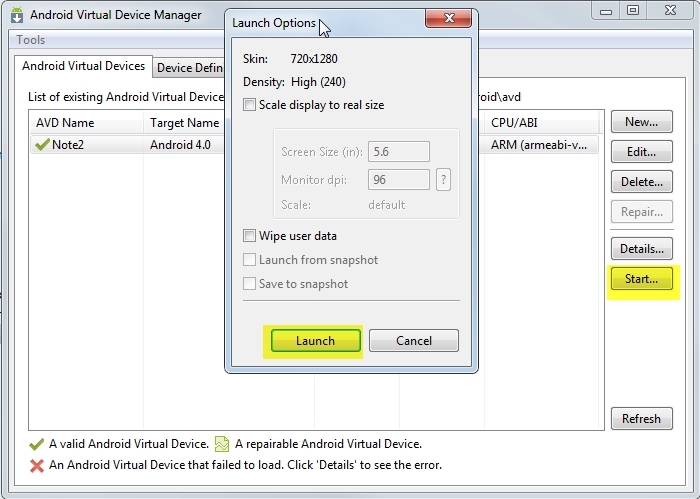 How to Connect android application to sql server ?please Solve my problem sir.